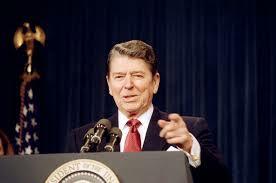 One of the best ways to project confidence when speaking in public is to follow a technique mastered by some of the great public speakers – Ronald Reagan, Franklin Roosevelt, Winston Churchill. They all managed to read a speech, sounding conversational and unscripted, using a technique known as “See-Stop-Say“. First of all print your text in large font with double spacing. Make sure that the sentences are short – ideally not more than 10 words so that your eye can absorb them easily. You may want to put key words in bold, as this will help you with emphasis and rhythm. See – see each phrase and “record” a picture of it with your eyes. Instead of reading the whole section, let your eye “record” only the phrase or part of the phrase that you can commit to memory. Stop – look up from the page and pause. Say – say the phrase out loud from visual memory. Pause again before looking down to memorise the next phrase. 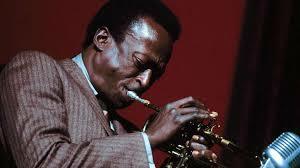 The great American jazz musician, Miles Davis, once said, “in music, silence is more important than sound”. This applies to public speaking too. Pausing is your best way of sounding authoritative. It automatically gives you “gravitas”. And, if you have a key phrase or message, pause before and after it for increased impact. When I am preparing managers, executives, and CEOs to deliver keynote speeches, they are always amazed when I tell them that professional speakers, journalists, and moderators, always practice their first 20 seconds. It is the moment when you are most nervous so it calms the nerves if you know what you are going to say. If you watch TV journalists before they go live, you will see that they are walking to and fro (movement aids recall) preparing their first answer. It is always important to practice reading out loud your statement or speech so you become familiar with it. If you can remember the first 20 seconds that will also help as you can keep eye contact with the audience before you follow the “see-stop-say” model. If you are delivering your remarks on stage, choose five spots in the room, which form the shape of a W – practice making your points to each spot. This will ensure that you include everyone in the room – even those on the sides who are easily ignored. If you are reading your statement seated, like the diplomatic delegations at the UN, then you need to look up and straight ahead. The UNTV cameras will focus on you and the journalists, who receive the video footage, will be delighted as they will have a wealth of clips to choose from as you deliver your statement with impact. Claire Doole has run courses for companies and organisations worldwide since 2006 in media relations, presentation skills and writing. She is an experienced video producer, moderator and voice-over. Claire is a certified trainer in English for non-native speakers. All you need to know when it comes to communication! Follow the four Golden Rules for impactful communication. Of all the slides in my communication skills workshops, there is one slide that is my absolute favourite. It’s one that comes right at the start of the day and, even when training experienced professional communicators, I can almost see all the lightbulbs turning on above people’s heads when I share it. It’s the slide where I share my four Golden Rules for effective and impactful communication. It features in all of my workshops, regardless of the theme, as I believe that if you get these four things right in your messages, presentations, brochures…any of your communications…then you are guaranteed to grab attention and hit the mark every time! It took a while to whittle all of communication best practice down to just four essential ingredients – and arguably, there could be just one that encompasses all four – but after working in communications for more than 20 years, I know that these four elements are essential for success, everything else is merely a part of these ‘heavy hitters’. I’m shocked at how often people don’t think about this. But here’s the thing, if you don’t know what you’re talking about, then you can’t expect anyone else to! A confused mind doesn’t buy or buy-into anything. Make sure you strip out everything that is not relevant to your audience and give your message the chance to shine. Bring all the above together in a clear, simple plan. It needs to be something that your entire team can understand, communicate and put into action. And this plan must include some feedback elements that track the success of your communications so you can continually improve and grow with your audience. So that’s it, all you need to know to be effective and impactful in your communications, whatever media you are using. If you’d like to know more about how to develop your communications around these four areas – along with gaining lots of additional information, tips, tools and insights – then don’t miss the full-day ‘Communicating with Impact’ workshop taking place at the Impact Hub in Geneva on 3 March delivered by myself and digital media expert, Kathleen Holmlund. Sorry, I can’t hear you. How to get a louder voice. Speak louder. Many of those who come to me for voice coaching want to learn to speak louder. Tired of having to repeat themselves or seeing people lean forward and frown every time they speak, they want to know how they can make themselves heard. It may sound like a trivial thing to do, just to turn up the volume knob a bit. In reality, it can be quite challenging to change your default speaking volume, and to keep it at the new, louder level. Your speaking habits have been formed since the early years of your life, and are coloured by your experiences, belief systems, culture, psychology and how you inhabit your body. Human beings are quick to adapt to the norm in families and society at large, and to judge those who do not conform to the social rules. Did you grow up in a family or a culture of soft speakers, where being loud equaled bad manners, lack of respect, or showing off? Were you frequently asked to be quiet and let others speak? Or were you the one to take on the quiet role in an otherwise loud family to balance it out? A shy personality is another factor that gets in the way of loudness. If you are not comfortable being the center of attention, your voice will try to protect you from that attention by going soft. So hand on heart, do you really want to be heard? When you think you are being really loud, are people still asking you to speak up? Your voice sounds louder inside your head than it does to other people. The reason is that the sound that you hear is amplified through the bone-conduction in your head, while other people only can hear the sound that is carried through the air in the space around you. Now, if you want to communicate with other people, you will be better off trusting their ears rather than your own. To get an idea of the size of this perception gap, ask a friend – or several – for help. Speak a few sentences and ask your friend to indicate the loudness on a scale from 1-10. Compare it with the loudness level you were aiming for. If your friend gives you a 4 when you think you were at a 7, you can start to re-calibrate your ears and vocal effort accordingly. Also remember that a larger room and a larger audience will require more volume than a face-t0-face conversation. Ask for feedback and keep adjusting your loudness to different settings. You know how easy it is to speak up when you are certain of the facts and clear about your intention. The words flow and your strong conviction brings your voice to life. You know what you want to achieve and you want the world to hear your opinion. And then there are all the other times. The times when you wing it, when you didn’t have the time to prepare, or when you are simply not that engaged. Your voice will sense it and tactfully lower the volume, pull the sound back into your throat and relax the enunciation to minimize the potential public embarrassment. Do you know what you are saying, why you are saying it, and do you stand for it? Does your voice get strained and tired when you have been speaking loudly for a while? You may be doing all the speaking effort from your throat. Instead, think of your voice as a violin, with the strings being your vocal folds, the wooden body being your torso and your head, and the bow representing your breath. All the parts are needed in order to bring out a powerful voice. Without the bow (breath) applied with the right pressure, the strings (vocal folds) will not vibrate in the way required to produce a rich sound. Without the body providing a strong frame and a resonance chamber, there will be no amplification of the sound. You will find tips on how to engage your body and breath in my articles 4 ways to bring out the good vibes in your voice read and Breathe life into your presence. And if your resolutions for 2017 involve getting your voice to work for you, only reading won’t do the job. Join one of Maria’s acclaimed public workshops. The next one is in Lausanne on 7 March: ‘Showing up and Speaking with Confidence’. Sign up for Maria’s workshop “Using your voice for greater influence in meetings, presentations, and everyday interactions” on January 27th. 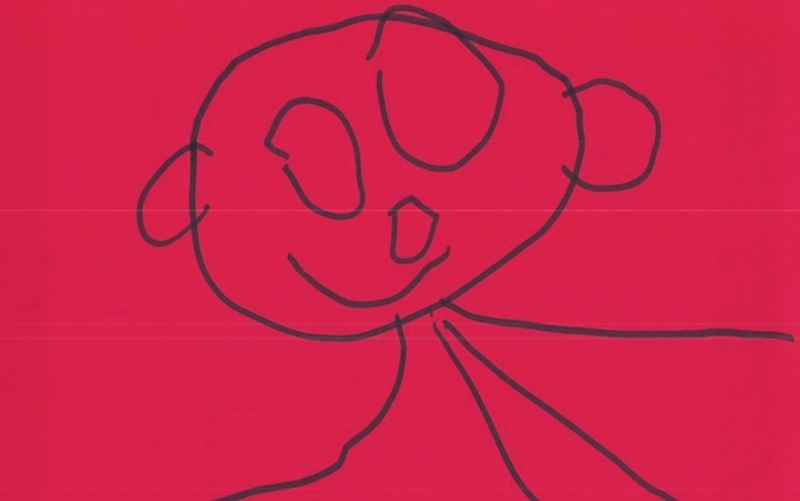 This is a picture of me, seen by the eyes and drawn by the hands of my then four-year-old son. A lovely piece of art that I proudly hung on my office wall, but am less likely to put on my CV. There I’d prefer to have a photo that more fully represents my face (or even improves it). Like most other people, I do care about how others see me. Does your voice represent who you really are? Let’s make an analogy with the voice – the audio version of your personality. Is your voice a simple, black-and-white caricature of your persona, or is it a full-fledged portrait, with colours, shades, and nuances? Do you always sound the same, regardless of what you are talking about and what mood you are in? Or can other people hear when you are enthusiastic, upset or amused? I often come across business people – men and women – whose voices have gotten “stuck” in a professional, reserved, and unemotional soundtrack. While competent and high-performing, they find it hard to motivate and inspire others when they speak. To connect with the emotion of those you want to inspire, you need to let your own enthusiasm and conviction colour your voice. If you don’t paint an appealing picture with your voice and your words, how can you expect others to see it? 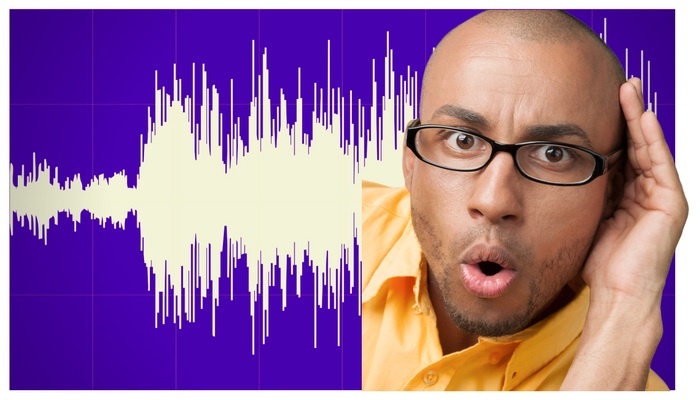 The basic sound of your voice is like your fingerprint – unique to you. But unlike your fingerprint, it also changes and develops as you go through life. When we are born, our first cry comes from our whole body and with no delay between the impulse to cry and the actual uttering of sound. The breathing is free and the voice unrestricted. But very soon, we are told to “be quiet”, “wait for your turn” and “be good”. Through school we learn to conform to the norms and rules of our peers. In our careers we adopt the behaviours that are suitable for our professional roles, including the tone of voice, accent, and way of speaking. This is a natural process – as human beings we need to belong and get accepted by the group. Put differently, we adopt the voice strategies that work for us. A pretty 18-year-old young woman may discover that a Marilyn Monroe-like voice gets her what she wants. A young man who just graduated from university may adopt a deep, monotonous tone to sound adult and knowledgeable in his first job. And it works – at least for a while. But when happens when our young woman is 42 and promoted to an executive position? Or when our young man has to enthuse and motivate his team to rise to a challenge? How can you get your voice “unstuck”? First, you need motivation, courage, and discipline. 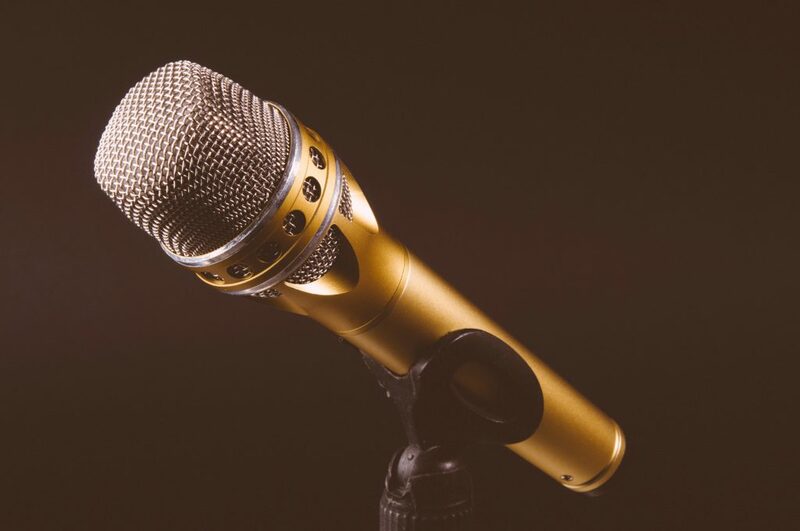 Changing old habits takes time and effort – and you may not feel immediately comfortable with the new sound of your voice, even if it is your natural voice. Second, you need to enhance your awareness of your voice and how you use it. Listen to yourself in recordings. Pay attention to where in your body you feel your voice and your breath when you speak. Notice where you feel tension in your body, throat, and face. Observe how these tensions shift depending on whom you talk to and about what subject. Check with others if your own perception of the loudness and energy in your voice corresponds to what they hear. 1) Relaxing and aligning your body so that the air and sound can move freely. 2) Breathing down to your centre so your whole body becomes part of the sound. 3) Working on resonance and articulation to bring out a rich and clear voice. Good voice work should always aim to use the voice that is there and stretch it and open up its possibilities, so that it does not limit your personality. Rather than learning new skills, voice work is about unlearning ineffective vocal habits. With time and patience, you will notice your voice change. Many people also experience emotional release when physical blockages get released through the voice exercises. No surprise: the voice is so closely linked with our identity that any vocal journey will also be a personal journey. Are you ready to get on board?